Formula One has been testing out different ideas for shielding drivers’ exposed heads for a few years now. Today, F1 announced it’s going with a halo and not a windshield, as NBC Sports reports, coming next season. The two proposals for cockpit protection were either a windshield or a kind of thong thing called a halo, designed not to get in the way of the driver’s vision, but still be placed to block anything from directly striking the driver’s head. Last week, Ferrari driver and possible human definitely not a robot designed to win championships Sebastian Vettel tried out the windshield concept and complained that its distortion made him dizzy. 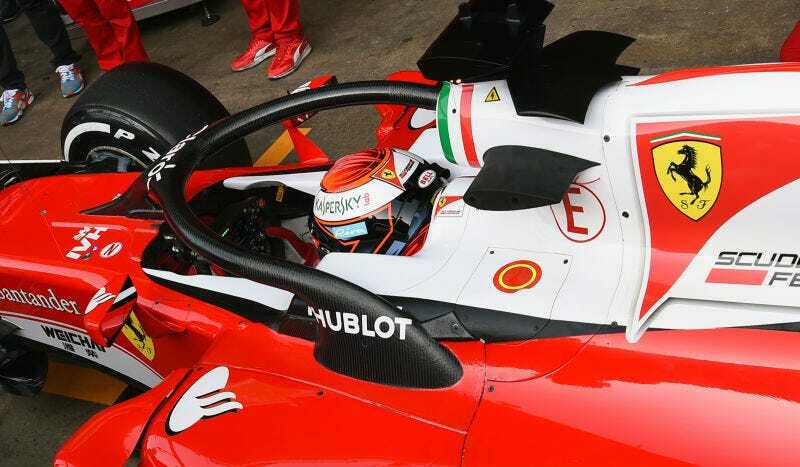 Only a week later and the halo concept, one that was first tested on a Ferrari, has been approved, announced at today’s F1 Strategy Group meeting. Hm.